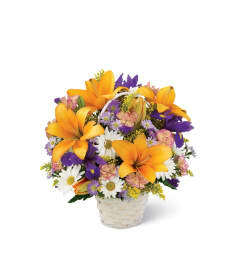 The FTD® Remembering Dad™ Arrangement is the perfect way to commemorate your father at his final farewell service. 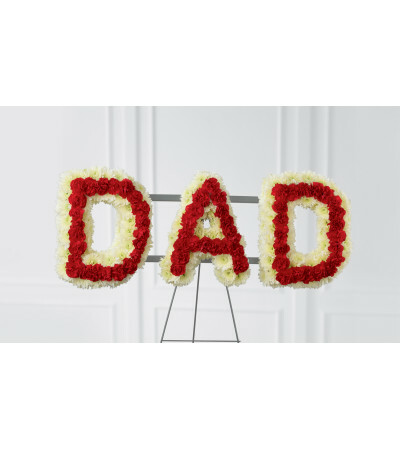 White chrysanthemums and red mini carnations are beautifully arranged to form the word, "Dad," to create a wonderful way to express the love you have for the man that gave you so much throughout the years. Displayed on a wire easel. My Mother was very pleased with her Birthday Plant Basket. Mom was thrilled again with Birthday flowers from Bethpage Florist. My go to for all occasions, since I moved from Long Island. She’s excited to receive them, and she’s been critical of past arrangements from other vendors. 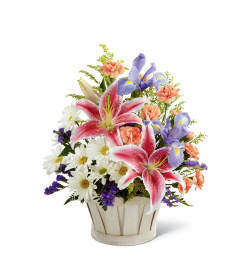 As long as Mom is happy, I’ll continue to use Bethpage, it’s so easy to order online and know that I can trust that she will receive the freshest, flowers in a lovely presentation!! Thank you Bethpage Florist for delivering on time and helping me wish Mom a happy day! Beautiful flowers and customer service. 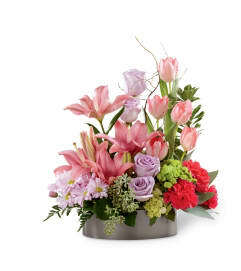 Bethpage Florist is a Lovingly Florist in Bethpage. Buying local matters. Discover how Lovingly supports local florists. Copyrighted images herein are used with permission by Bethpage Florist.